Here’s a sweet and simple way to brighten someone’s day. 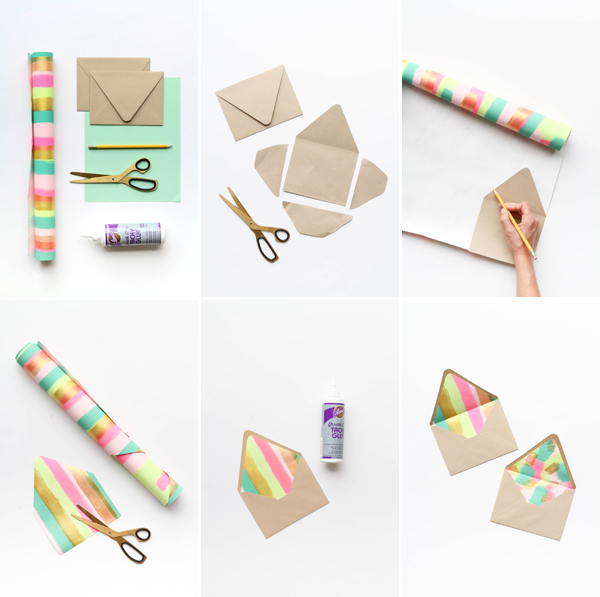 These DIY paper liners can be customized to fit into any envelope. 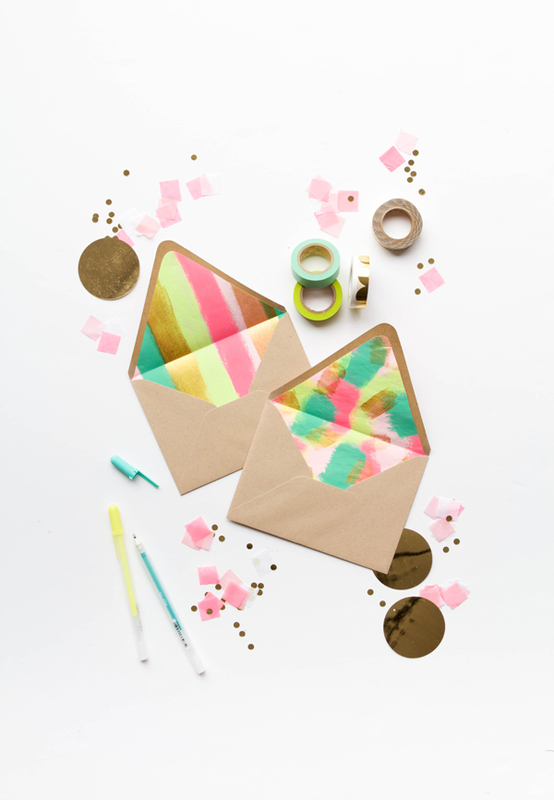 All you need is some fancy paper and 3 extra minutes to make your snail mail a million times prettier! 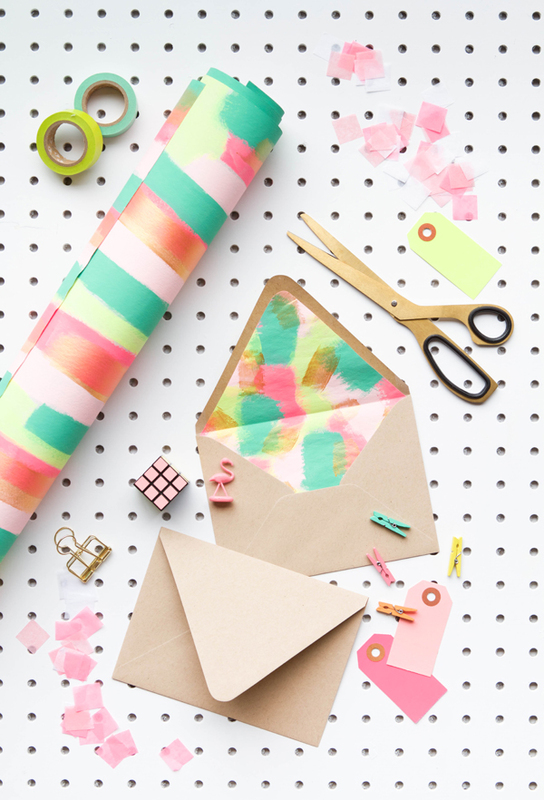 Step 2: Trace the template onto your roll of paper. Step 3: Cut out the insert from the paper. Step 4: Make sure your insert fits into an envelope. Then glue it inside. 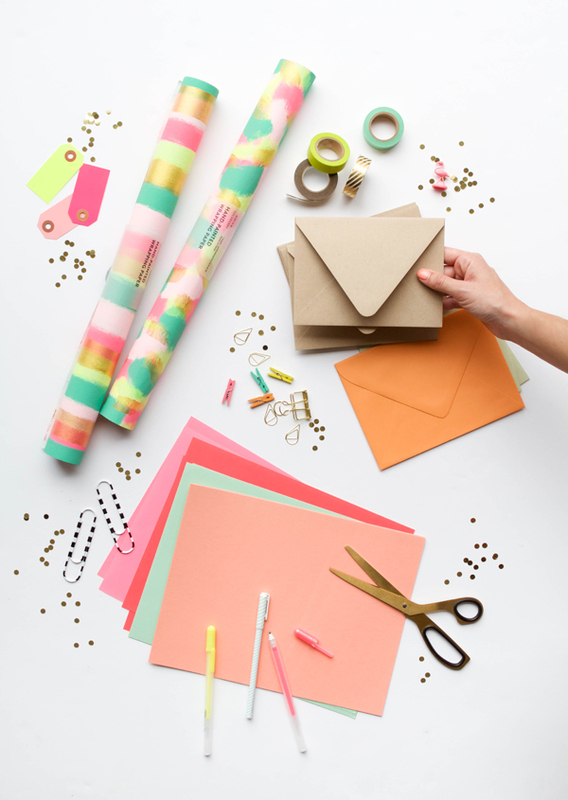 Step 5: Once the glue dries, fold the envelop back down to create a crease. This is a really cool idea! 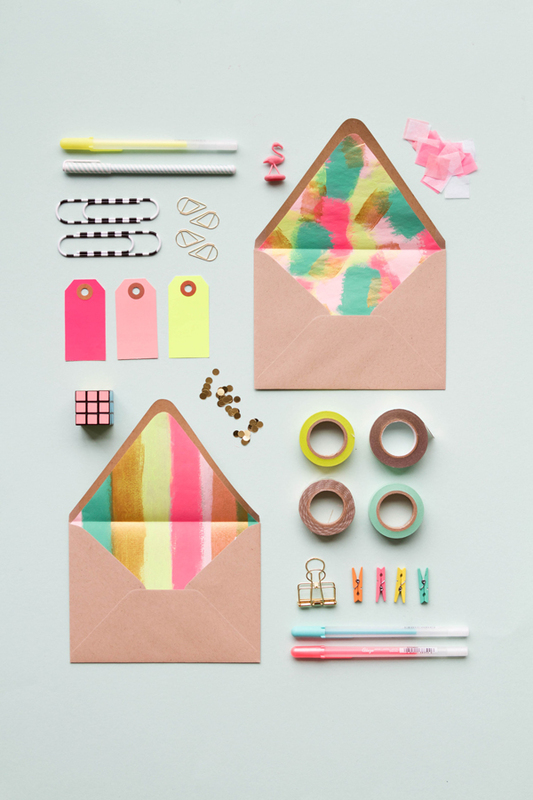 I love it and I like how it creates a sudden color surprise when you open the envelope. This is freaking pretty!! So much love for it!! I’m been trying to learn how to do this for so long, and this tutorial is easy and cute. Thanks! Yay! I’ve been meaning to do something like this for a while. This is perfect! I also want to try lining envelopes with fabric. I love the element of surprise that lined envelopes offer. Really adds to the excitement of receiving snail mail! Papersource sells a template set to make your own liners as well!! And they have an amazing double sided tape dispenser in a small size which makes it a breeze! !I think it’s icraft brnad for the tape dispenser. 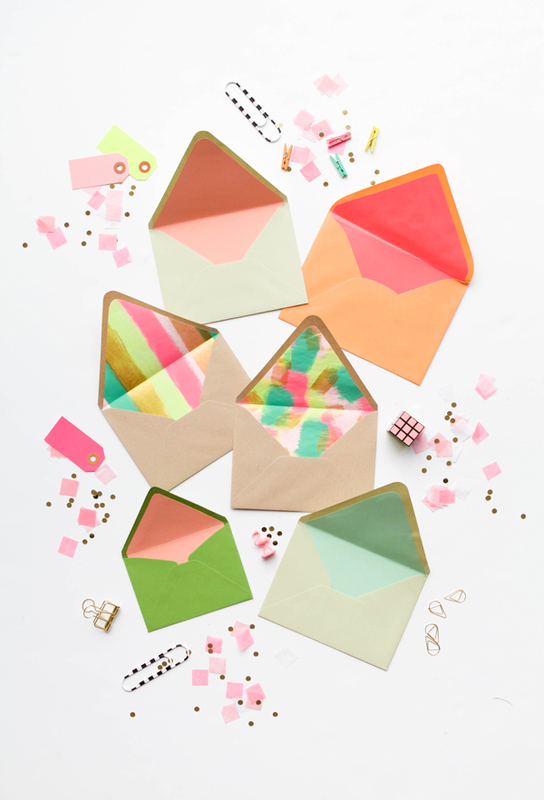 I love giving a little pizazz to my envelopes!